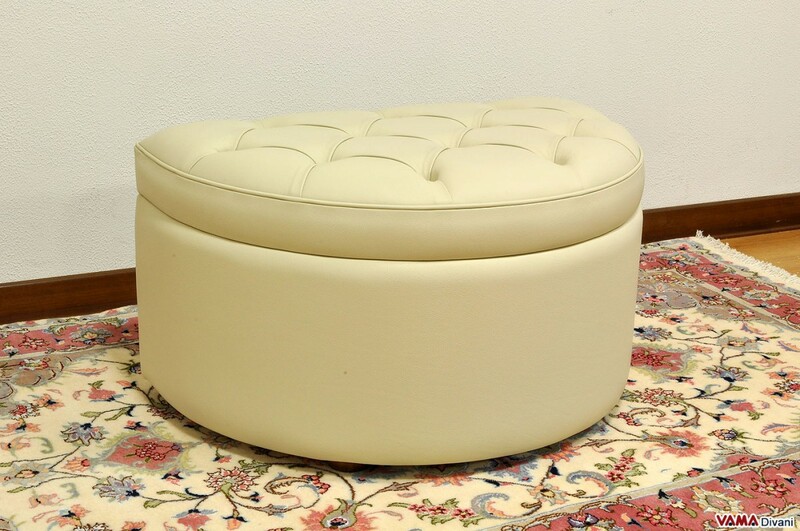 Crescent footstool with storage box, completely upholstered in leather embellished with the famous buttoned details, applied in a perfect way using a squared pattern. With a convenient storage box included, the Leonardo footstool is internally upholstered in microfibre and is a very elegant and refined piece of furniture, great if coupled with a Chesterfield sofa. 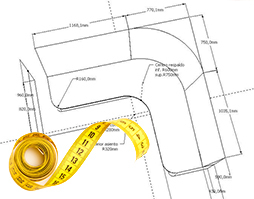 Available in any custom size and in different shades and upholsteries, also without storage box. Leonardo is a traditional, very refined and stylish footstool, a perfect piece of furniture to be combined with a Chesterfield sofa and absolutely suitable, in general, for all the classical spaces and living rooms. Leonardo recalls, in its style, the design of its "twin" footstool, the Giotto footstool, with the only difference that in this case, this is a crescent footstool rather than a fully rounded one. Upholstered in high-quality leather, the Leonardo crescent footstool, offers on its surface, the unique buttoned details which are typical of the famous Chesterfield sofa, applied in a very perfect way using a squared pattern. 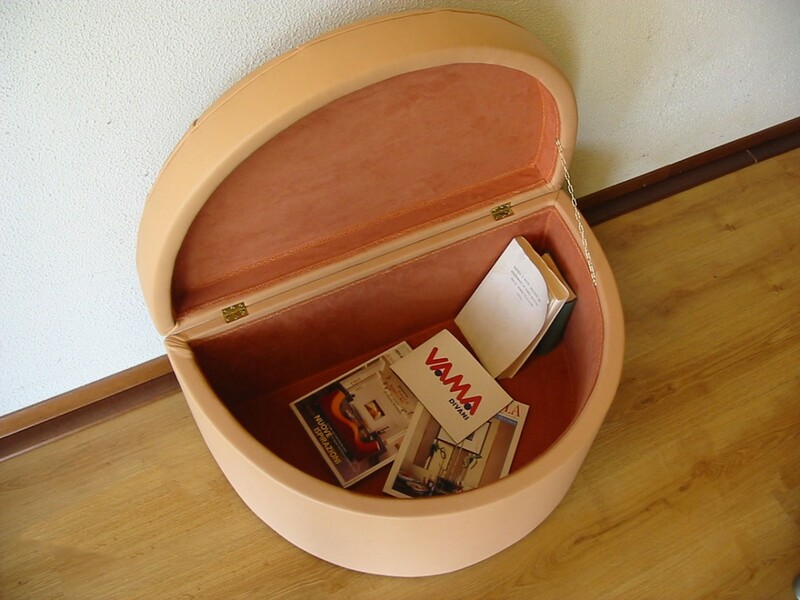 Leonardo is also a footstool with storage box: simply lift its lid to put inside objects of all kinds, saving valuable space in your room. 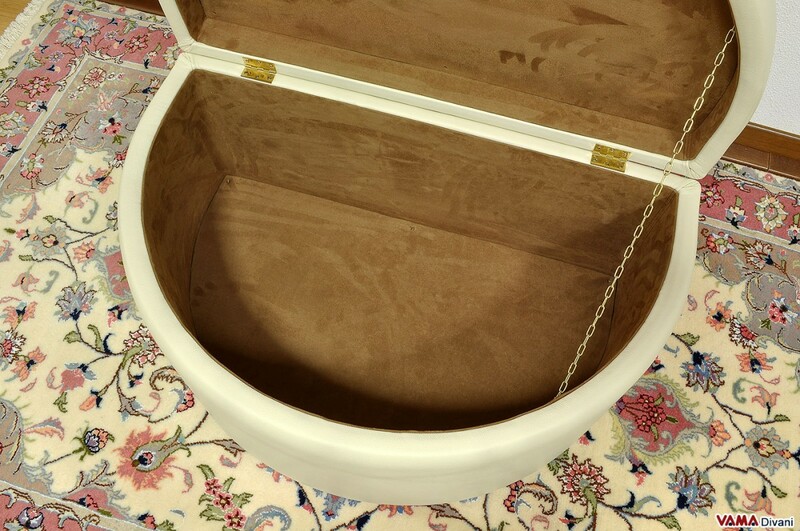 This semi-circular footstool is very stylish, and when its lid is closed, it is impossible to guess that this is, indeed, a footstool with storage box included. 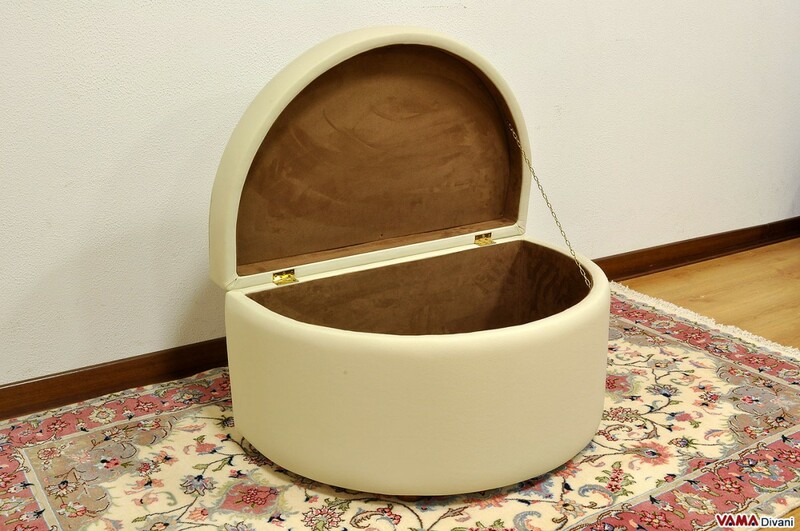 The storage box, moreover, features a special element that makes Leonardo even more elegant: the whole inner part, in fact, is not painted, but is upholstered in microfibre. 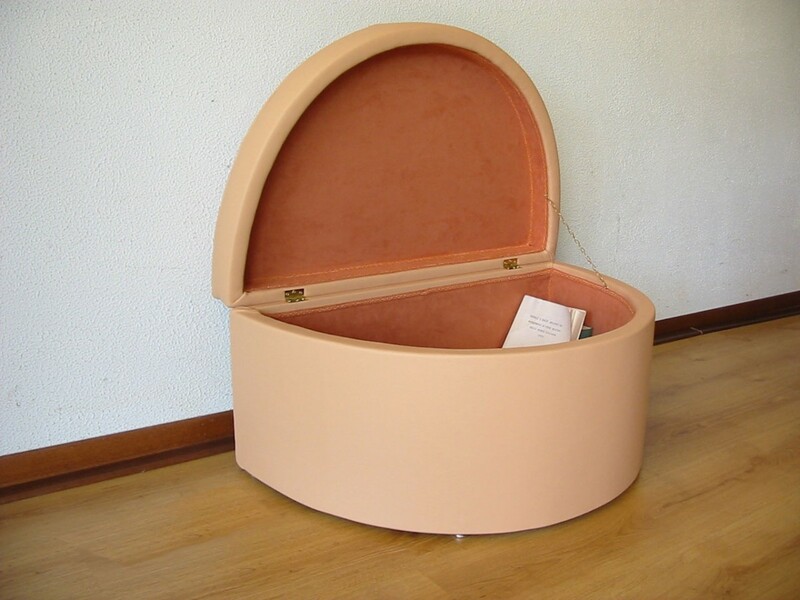 This comfortable and very charming piece of furniture, can be also customised.